Nice come back, Ryan. PM SGW with your address so she can send you your prize!! you finnaly get out of the closet!!! And the top botty-spotter is.... Ryan! Inchpractice wrote: And the top mens botty-spotter is.... Ryan! The fact that i suspectth Mrs ChVint as she took the pics i suspect may have summat to do with his win! 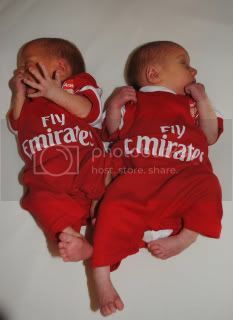 Gooner Girl wrote: The fact that i suspectth Mrs ChVint as she took the pics i suspect may have summat to do with his win! I actually on got 3 pictures with my own camera. The players weren't posing for me like I asked. just seen my post doesn't make sense but you know what i mean! Congrats & well done Ryan! You'd best send me your address then, so i can send on your Arsenal Cufflinks. She_Gunner_Wales wrote: Congrats & well done Ryan! send him bendtner's pink one!! !